Thank you for running the 2016 Ravenswood Run. Join us on Sunday, April 24th in celebrating the 20th anniversary of Chicago’s best neighborhood 5K, the Ravenswood Run, in 2016! All registered participants will receive a gender-specific, short-sleeve Mizuno Core t-shirt. Returning again this year: the post-race pancake breakfast. For a $10 donation you will enjoy a delicious post-race pancake breakfast, and know 100% of the proceeds will go directly to the Ravenswood Community Services Food Pantry at All Saints Episcopal Church. Make this a family event! The Ravenswood Run Kids Races is available for all kids ages 2-10. All registered Kids Race participants will receive a cotton t-shirt and participation medal. The Ravenswood Run is limited to a maximum of 3,750 entrants for the 5K and 300 entrants for the Kids Races. Registration for the event will close once the limit has been reached. Race week or race day registration may not be available. The Ravenswood Run, a neighborhood 5K is excited to be returning as to the CARA Runners’ Choice Circuit (waiting for new link) in 2016 as well as continue to be a CARA Certified Race and a CARA Certified Green Race. Please contact CARA for more information on CARA Certified Races and the CARA discount for current CARA members for this event. The proceeds from the Ravenswood Run benefit the Ravenswood Community Services Food Pantry at All Saints Episcopal Church and the Student Health Centers at Lake View and Amundsen High Schools. 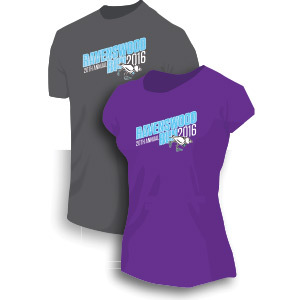 All registered 5K participants will receive a gender-specific, short-sleeve Mizuno Core t-shirt, designed exclusively for the Ravenswood Run! Forgot to get your Pancake Breakfast or need additional tickets? How often can eating a pancake make a difference in someone's life? Here's the math: $10 Pancake Breakfast = 100 pounds of food for the RCS Food Pantry. Your donation means that others will eat too. RCS serves the Ravenswood and Uptown neighborhoods – help those who are in our neighborhood. Looking for a group to help you train for the Ravenswood Run? Chicago Endurance Sports is offering a No Boundaries training program, perfect for those looking to run their first 5K or returning to running after a bit of a hiatus. 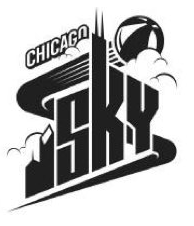 An additional day of packet pick-up will be available at Fleet Feet Sports - Lincoln Square on: Thursday, April 21, 2015 from 10am-8pm. Ravenswood Community Services provides groceries, meals and more to neighbors throughout Ravenswood and surrounding neighborhoods. Your participation in the Ravenswood Run directly supports the work of the organization. You can also help by participating in the food drive and by making monetary donations. Bring a food item* with you when you pick-up your packet at Fleet Feet Sports or on race day. If you choose to make a monetary donation you can do so during online registration or at packet pick-up. Thanks for your extra effort and support! The Ravenswood Run is using the latest in race timing technology, the Chronotrack B-Tag Timing System. Timing devices will be distributed at Packet Pick-Up. Streets will be opened on a rolling basis as the races progresses. All race route streets will be opened by 9:30 a.m. with the race Start/Finish site re-opened by 11a.m. For more information, call the Ravenswood Community Services office at 773-769-0282 or our dedicated cell phone at 312-330-6827. We strongly encourage carpooling, riding your bike or taking public transportation to the event as parking is very limited in this area. Fleet Feet Sports is partnering with SweetenTheRide to put runners in touch for free race day carpooling. Make your ride to and from the race more than just another taxi, train or car ride! Save time, money and get to know another runner from your neighborhood! Sign up with SweetenTheRide! and we'll connect you with a racer in your suburb or neighborhood for the trip! Sign up to be a driver or passenger at sweetentheride.co. Help us reduce our carbon footprint! Fleet Feet Sports highly recommends carpooling, using public transportation, or riding your bicycle to the event. To determine the best route to travel via public transportation, please visit the CTA's trip planner. Bicycle parking will be available at the race site near the start/finish area. Wintrust Bank: 2300 W. Lawrence Ave.
"No Parking Zones" along the course will be enforced beginning at 4 a.m. on Sunday, April 24th. Please look for "No Parking" signs in your area for full details. Street closures along the route will occur between 7:30am and 9:30am. City streets will re-open promptly as the final runners pass through. The Chicago Police Department will be responsible for closing and re-opening streets. They will do so in a manner ensuring runner and spectator safety. Please follow their instructions when approaching streets on the course. Please do NOT attempt to block the race course at any time. Click here for a complete listing of street closures. Awards are presented to the top three overall male and female finishers. Awards presentation to begin at approximately 9:15am. Results will be posted here by 11am on race day. The Ravenswood Run will take place rain or shine. If cancellation of the event is warranted due to dangerous weather conditions, announcements will be made race day at the race site. The event will not be canceled in advance. All decisions regarding cancellation will be made on site, race day.